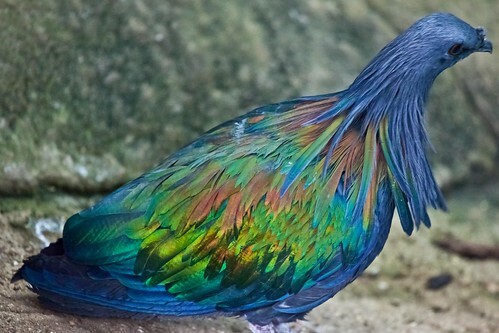 A richly decorated species, the Nicobar pigeon features a metallic green back and wings, a white tail and a gray chest and head. 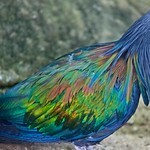 Long, elaborate feathers stream down from the species' neck, giving it a distinctive look. Near threatened due to overhunting and predation by introduced species, such as cats and rats. 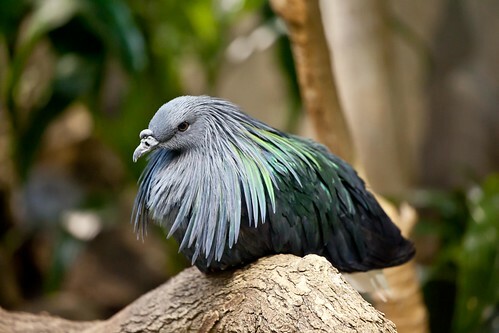 Lincoln Park Zoo participates in the Nicobar Pigeon Species Survival Plan®, a shared conservation effort by zoos throughout the Association of Zoos and Aquariums. 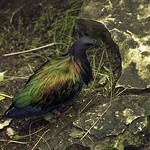 The Nicobar pigeon flies from island to island in its native range to find seeds, fruit and insects to eat. The species often sleeps at night on nearby offshore islands to find safe refuge from predators. 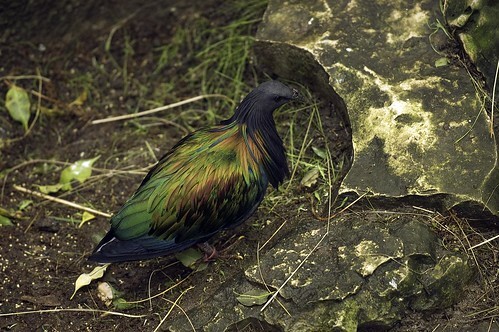 The Nicobar pigeon nests in trees, building its nest from sticks. 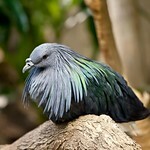 The female lays one egg per breeding period, and both the male and female cooperate in rearing their young.